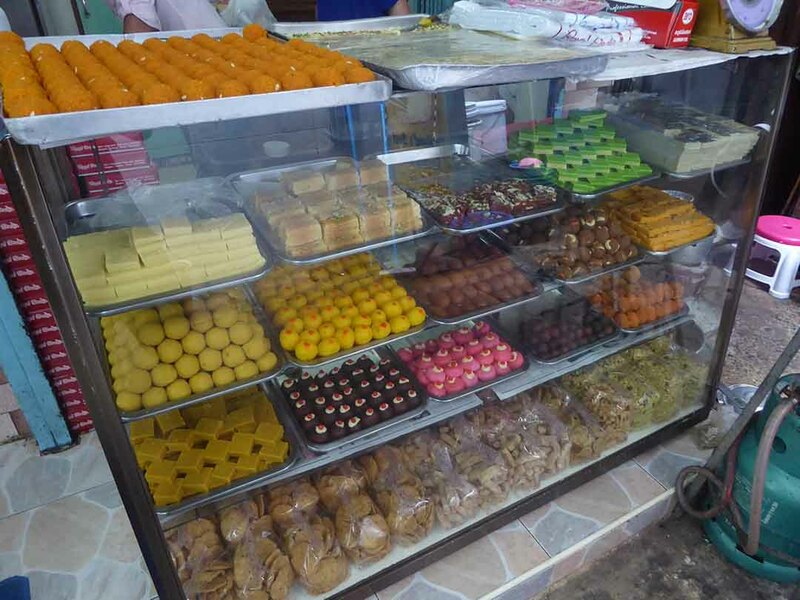 Phahurat also known as Little India is the largest Sikh community in Bangkok. 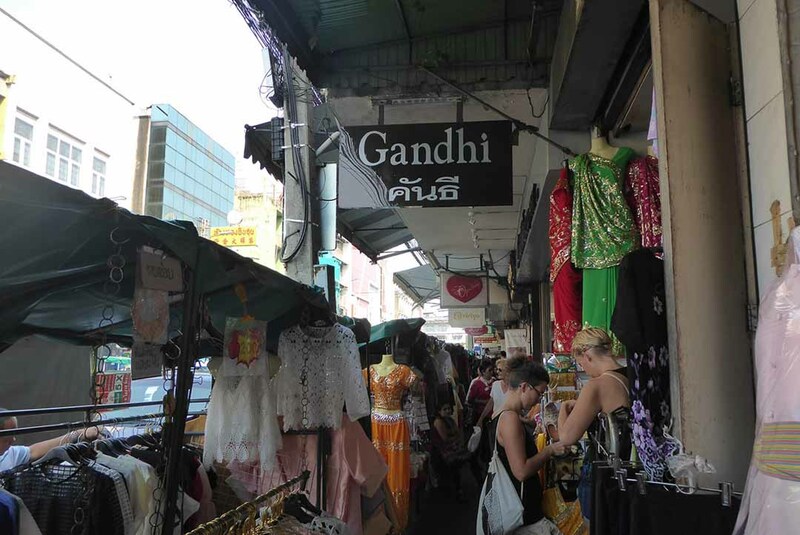 The Phahurat Market is in the streets around the Phahurat Road and the India Emporium mall and is one of Bangkok’s largest textile markets, famous for its massive selection and inexpensive prices. 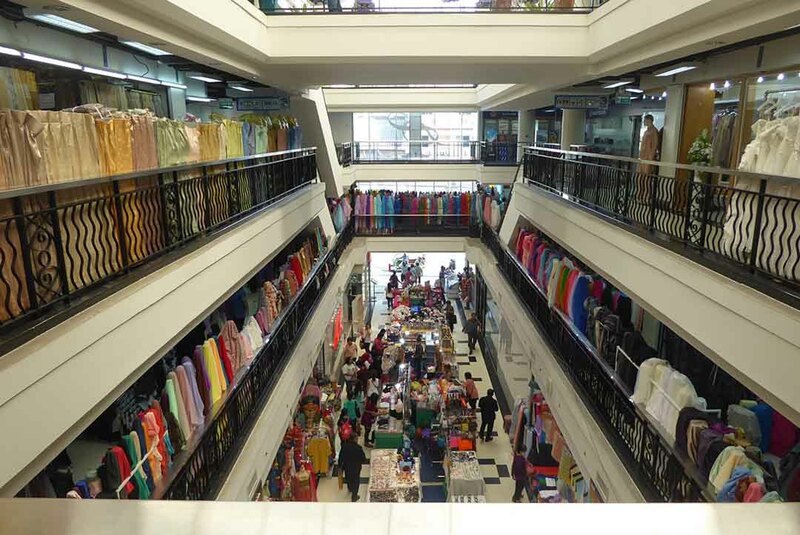 The center of the trade is the India Emporium mall which features 4 floors of fabrics as well as ready to wear clothing. 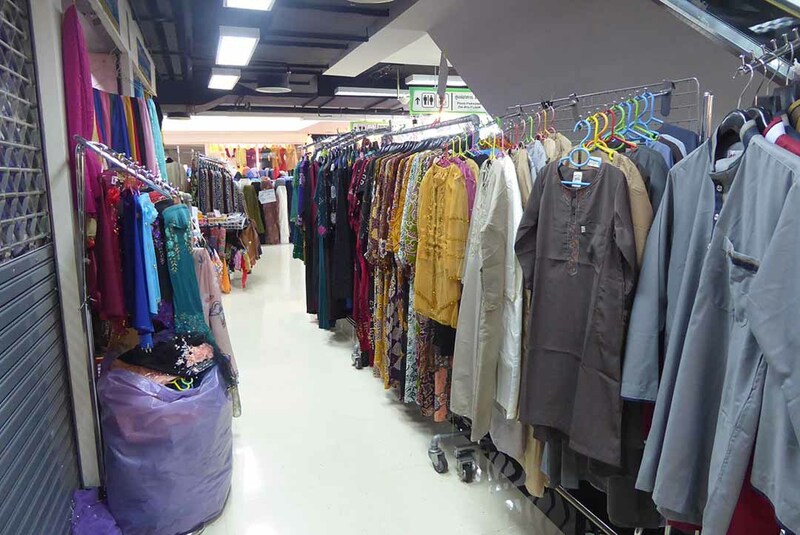 Behind the mall between Phahurat road and Triphet road in a maze of narrow alleys is the Phahurat fabrics market with even more shops. 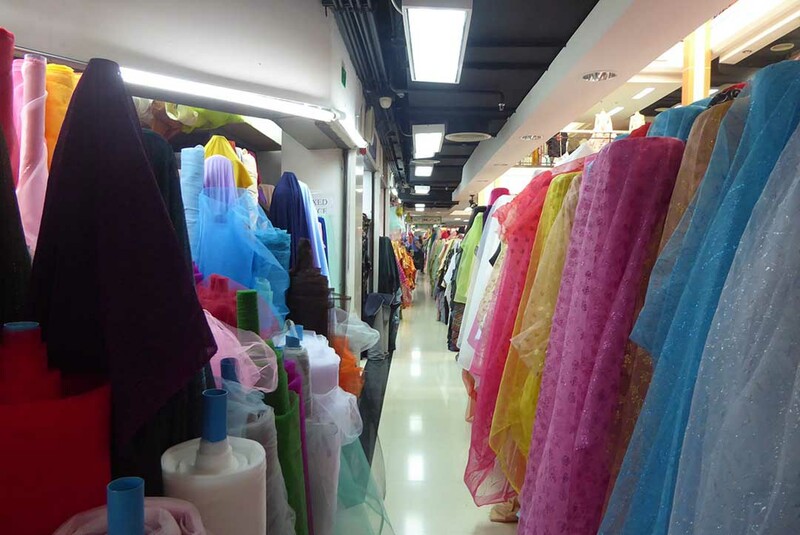 Fabrics such as lace, Thai silk, batik, cotton, and satin sold by the meter. 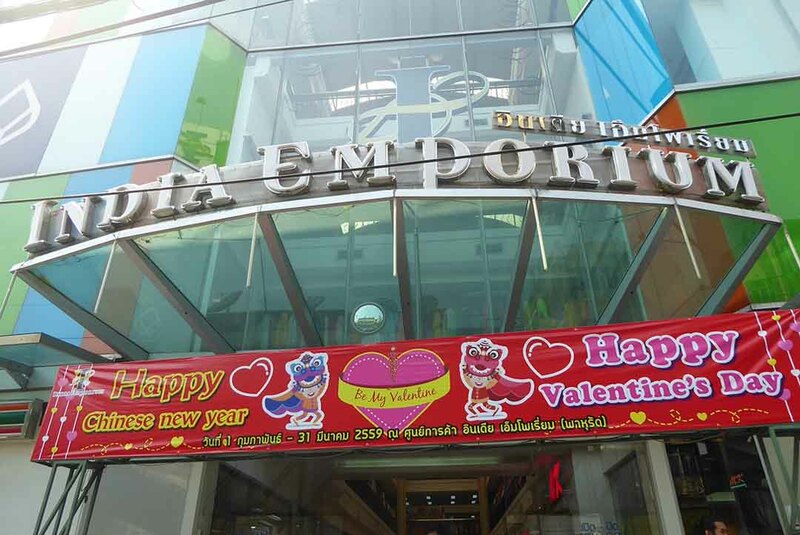 There are shops that specialize in wedding outfits, souvenirs, and accessories such as invitation cards, gifts and cake boxes. 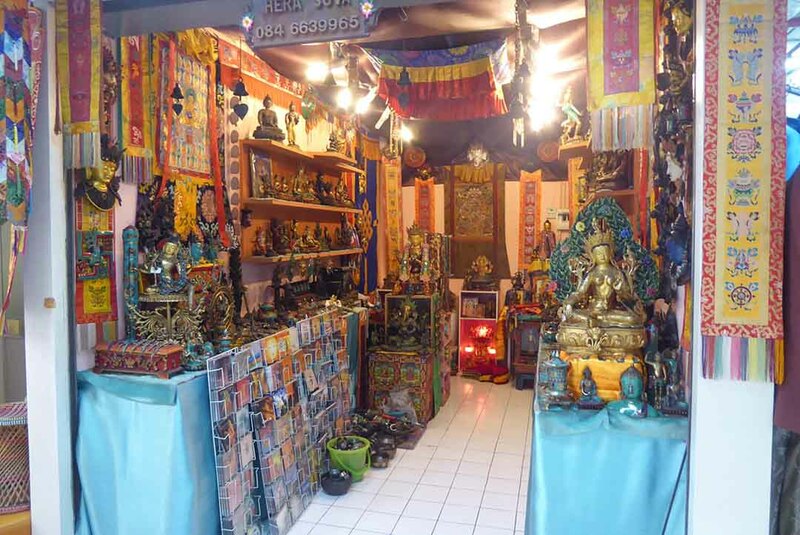 You will also find shops selling faux fur, buttons, Indian saris, shoulder bags, sandals, bracelets, costume jewelry, Indian art, and handicrafts. Also Bollywood movies, religious paraphernalia, Indian spices, snacks, sweets, desserts, dried fruit, and nuts. Check a few places before buying as bargaining is the rule here. 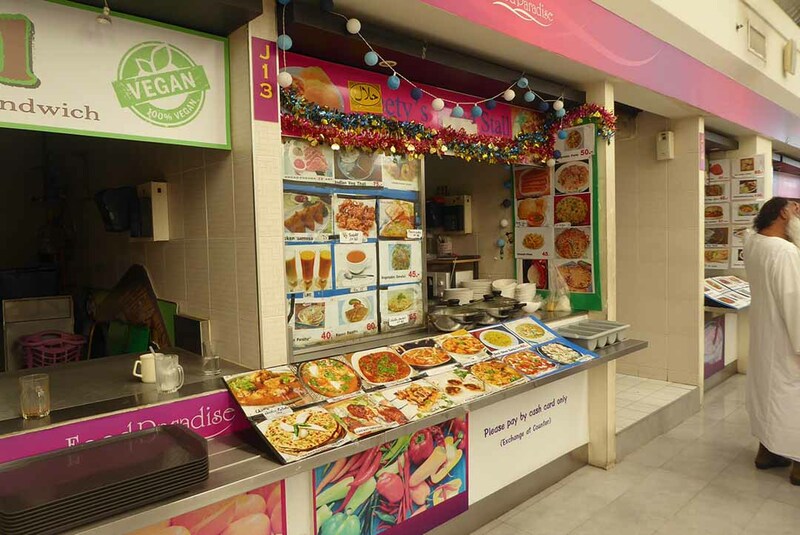 There is a good Indian food court on the top floor of India Emporium serving a variety of Indian food as well as Indian cafes and restaurants in the surrounding streets. 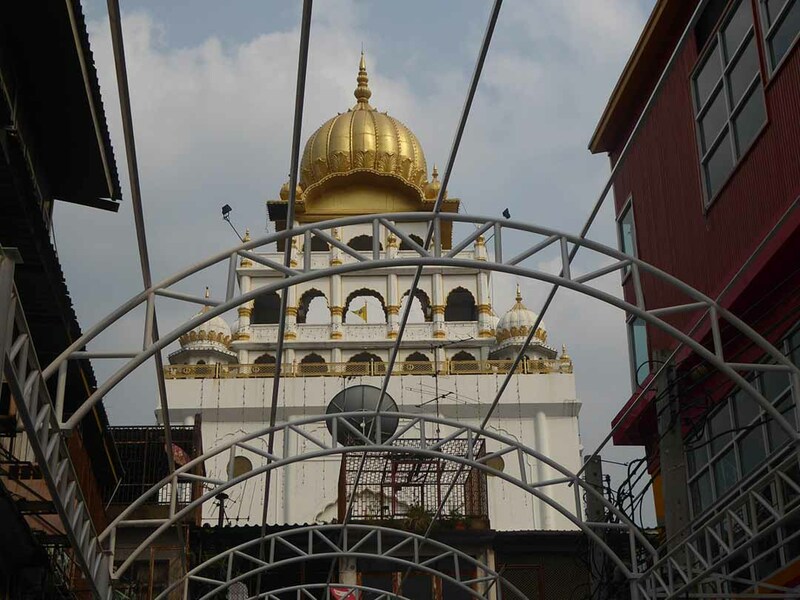 Almost next to India Emporium is the white six-story Gurudwara Sri Guru Singh Sabah, the largest Sikh temple in Thailand and the second largest outside India. It is crowned with a large golden dome. 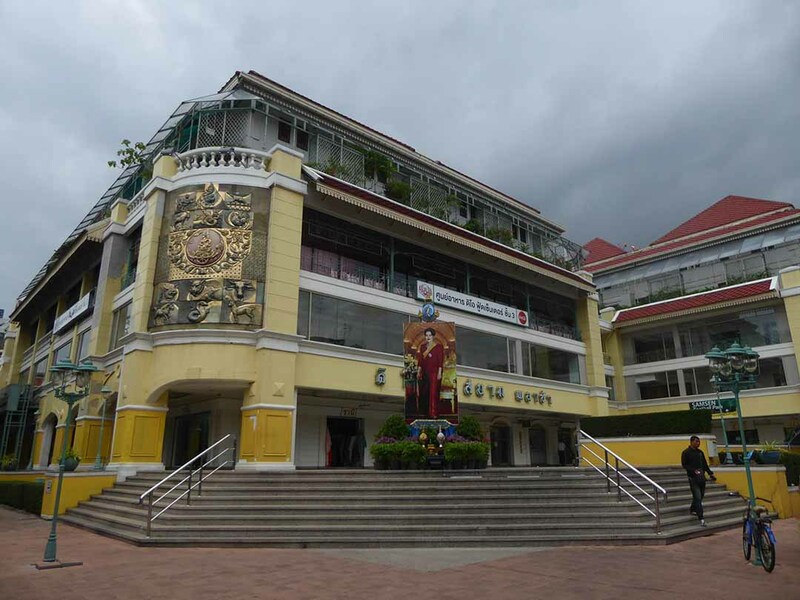 Also, on Phahurat road opposite the market is Old Siam Plaza, a mall with colonial European-style architecture. 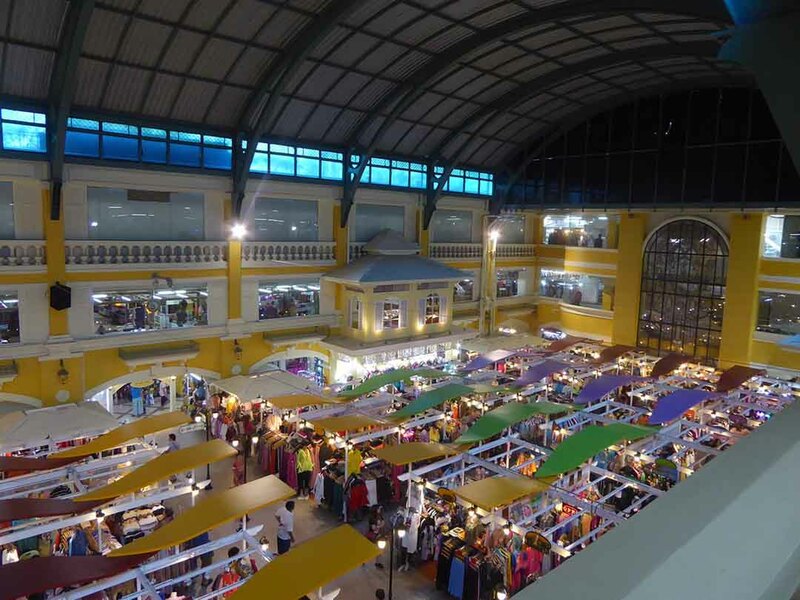 Inside you will find a variety of products, such as second-hand clothing, electronics, souvenirs, handicrafts, Thai silk clothing, and several cafes and fast food outlets. 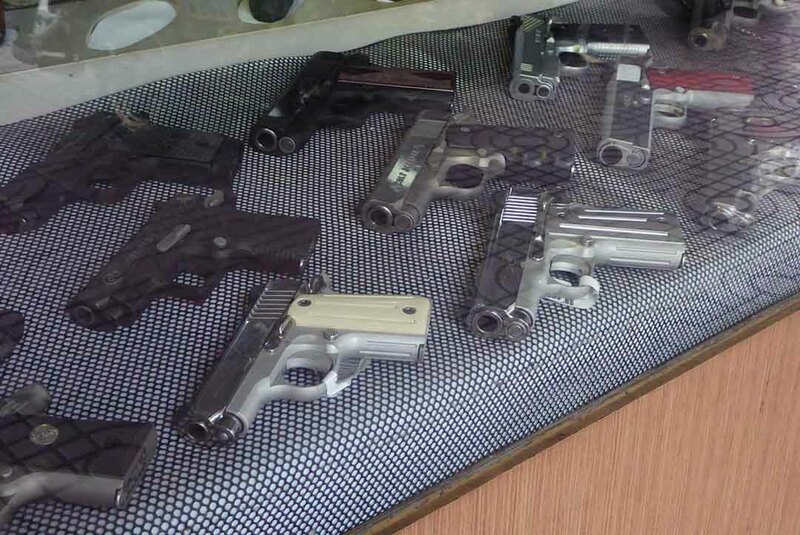 Opposite Old Siam is Burapha Road known locally as Gun Street due to its collection of official firearms dealers who proudly display an array of weapons, ammunition, bulletproof vests, and accessories in their windows.